Trei Parale band - young city guys discovering and reinterpretig Romanian traditional music from the Carpathians, with ethnic influences. 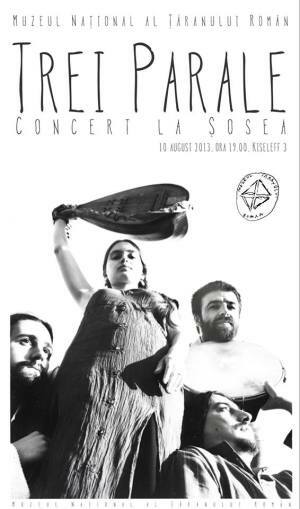 "Trei parale band - traditional music with a twist" Concert in Bucharest. You can get here description, reviews, address, time and details of "Trei parale band - traditional music with a twist" Concert in Bucharest. Visit Bucharest Tips for more Concert events in Bucharest!